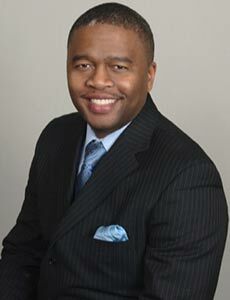 Dr. Tony Boyce is a native of Laurens, SC and is the youngest of three children born to Rev. George and Mrs. Alice Boyce. Dr. Boyce faithfully serves as the pastor of the Mt. Emmanuel Missionary Baptist Church in Greenville, SC. His vision for ministry emphasizes awesome obedience to God and humble service to humanity for effective kingdom building. Dr. Boyce is well prepared for the calling of God to the gospel ministry. He received his BS in Elementary Education from the College of Charleston, a Master's of Divinity from ITC, and a Doctor of Ministry degree from Gardner-Webb University. His doctoral project is entitled "Transforming Attitudes and Commitment to Missions at the Mt. Emmanuel Missionary Baptist Church in Greenville, SC". The project resulted in the development of a 75% increase in missions income, the development of a monthly mobile food pantry for the community, and an annual community missions campaign for the Greenline-Spartanburg Community. Dr. Boyce has served in various capacities as a public servant in Greenville County. He currently serves as 1st Vice Moderator of the Reedy River Baptist Association, Inc. He also serves as the Economic Entity co-chair for the Olive Branch Village Project. Dr. Boyce has also served as a board member for the Urban League of the Upstate, Greenville NAACP, Graduate Greenville, Advisory Board Black Pages, USA, Inc., Piedmont Consistory #169, Red Cross Lodge #223, and as a candidate for SC House of Representatives for District 25. Dr. Boyce has faithfully served the local church, state, and national organizations. He is a faculty member of the SC Baptist Congress of Christian Education, and the National Baptist Congress of Christian Education. Dr. Boyce is married to Schevelle Thomas-Boyce. They have two children: Jillian (age 9), and Antonio Josiah (AJ, age 5). The currently reside in Greenville, SC.